More than seventy years after Pearl Harbor, Crest Hill, Illinois, resident George Sternisha has just now received the news he has been waiting for his entire life. Someone very close to him died in the attack on Pearl Harbor, but since the body was never found, Sternisha has lived in painful uncertainty ever since. But with the news that his loved one has finally been identified, he can gain the closer he finally needs to move on. George Sternisha’s uncle, Michael Galajdik was killed in Pearl Harbor while aboard the U.S.S. Oklahoma in December of 1941. 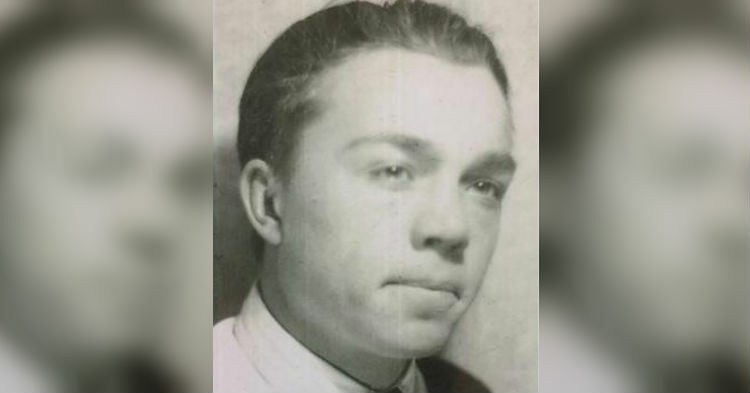 Galajdik was one of nearly four hundred from the Oklahoma whose body was never identified, and was subsequently buried in mass graves in Honolulu. It’s a heartbreaking tale and part of 69-year-old Sternisha’s family lore. Many decades have passed, births and deaths occurring in the family, without news of Galajdik’s fate. Until a recent phone call brought the family the news it has been waiting for. Uncle Michael is finally coming home. Following the attack, bodies of the sailors and marines aboard the Oklahoma had been entombed in the capsized ship for over two years. When remains were eventually recovered, they were buried in 45 mass graves in a Honolulu cemetery. However, in 2015, the Department of Defense embarked upon a major effort to disinter all of the unidentified crew from the Oklahoma and apply modern science in order to make positive IDs. The story of the Oklahoma is one of the most haunting in the annals of the Navy. The torpedoed shop rolled over in Pearl Harbor, and only a few dozen crew members were rescued. Workers were able to cut holes in the hull to save those few dozen, but the remaining soldiers and marines were trapped inside. Taps on the hull gave hope of rescuing the survivors, however those taps ceased after three days. Sternisha’s mother, Galajdik’s sister, received a telegram in 1942 informing her that her brother’s body could not be positively identified, but that he had most certainly perished. Sternisha says it was his mother’s dream that Galajdik’s body would somehow be found.